Take a decorating cue from Bruce Wayne by styling your home with this sleek Batman Logo Mirror. 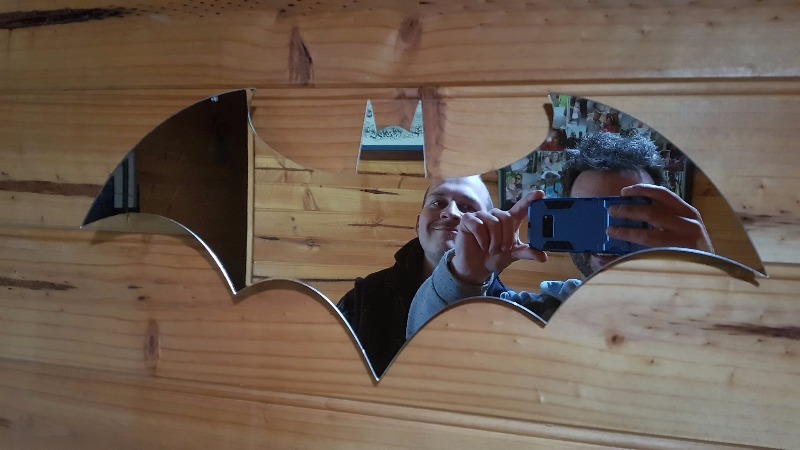 This geeky mirror measures 22" / 55cm across and comes with a wall mount rack on its back to allow it to be conveniently mounted onto most walls, making this a must-have for any high-tech Bat cave. I love this mirror I got it as a gift for my husband and he loves it. Fast delivery and it was packaged to the 9s. I really like the mirror and its actually not glass but a hard plastic. So it's durable in case you drop it. It is small so check the size to make sure it is what you expect to get for the location where you want to place it.